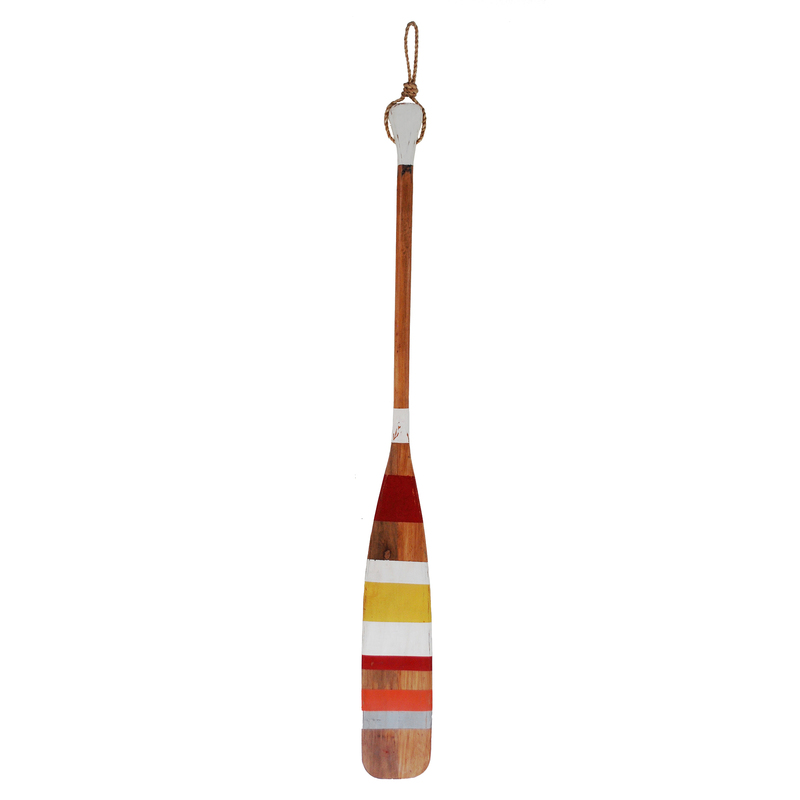 Solid, bold, geometric stripes draw attention to this oar. 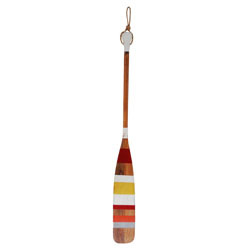 The retro reds, oranges, and yellows call back to yesteryear at the lake. 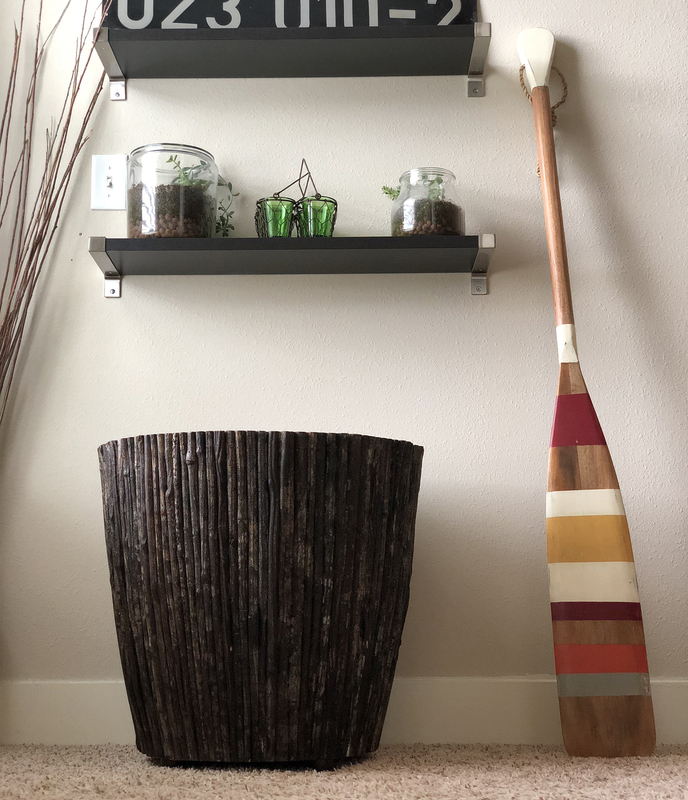 This eco-friendly piece is handmade through the honed talents of highly skilled artisans, who not only distress the finish, but also stains the wood a golden brown as if it is aged in the sun through its deep, rich history.